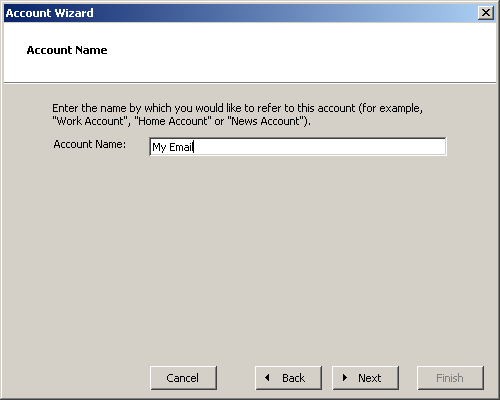 This is the fifth screen of the Netscape Account Wizard. You may name the account anything that you wish. When you are finished click the "Next" button. To continue this tutorial click "Next" in the screenshot below.